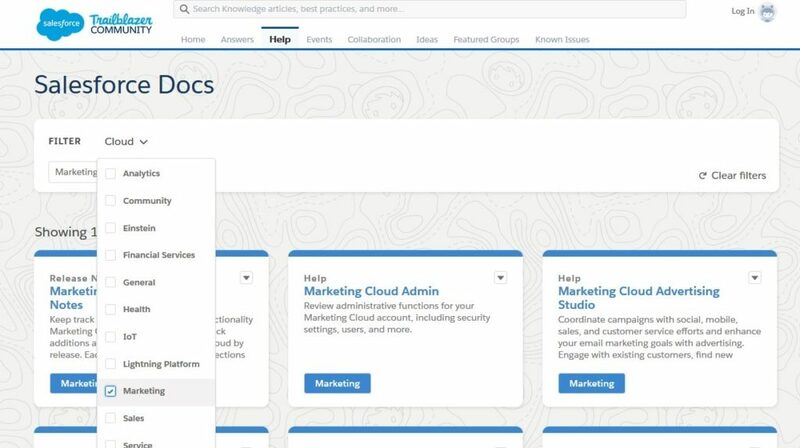 Highlights from the Salesforce Marketing Cloud January 2019 release. We explore new features in Journey Builder, Social Studio and more! Salesforce is continually streamlining Journey Builder and adding more functionalities within the application that make it easier to use. Users will experience a more streamlined and consistent setup, indicating which steps are required and which are optional. Most activities can be configured with less clicks. These changes will be released according to a controlled schedule (all dates subject to change). You can now write, edit, preview, and test emails in Journey Builder. An email you create from the Email Activity, is automatically included in the journey. You can also create mobile notifications directly from within Journey Builder. Watch this short video about setting up SMS and Push Notifications. Stories that you create in Instagram will now appear automatically in your Social Studio calendar. From there, you can see metrics, such as taps forward, taps back, exits, impressions, and reach. Because Facebook has updated their targeting options, it’s now possible to target a post you publish in Social Studio by interests as well. 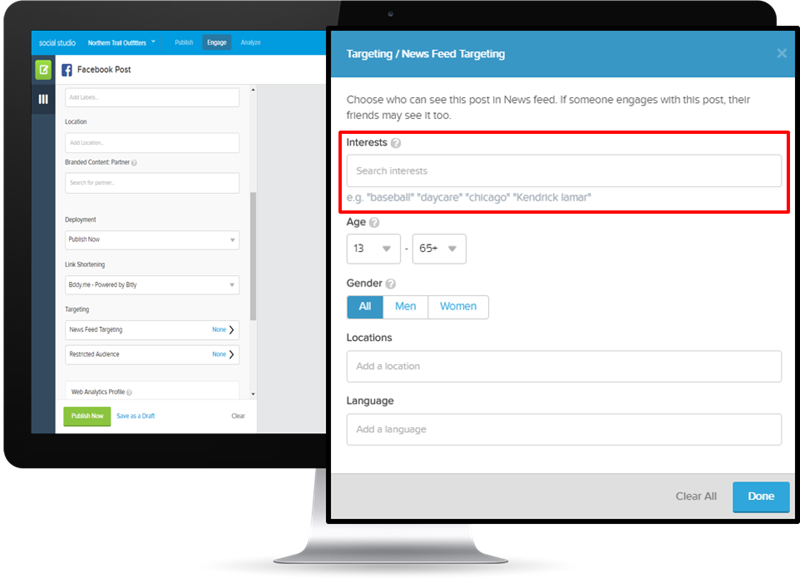 Use the Interests option for audience targeting in Publish. You may enter up to 16 different interests. Because Google recommends that customers designate a master company account to track all properties and views, Marketing Cloud’s Google Analytics 360 integration has been aligned with Google’s best practice for implementing its analytics tools. Link your Marketing Cloud enterprise account to a Google Analytics 360 user account and all child business units will inherit the link. This gives the master admin user access to all levels of accounts, properties, and views with one link. This affects only the views configured for the Journey Dashboard. It doesn’t affect Google UTM tracking or journey tracking. You can manage these tracking configurations at the child business unit level. Please note: Existing links between your Marketing Cloud and Google Analytics 360 accounts are not transferred. You will need to re-link accounts at the enterprise level. If your business units are linked to multiple Google Analytics 360 accounts, consolidate them into a single Google Analytics 360 account. Starting February 13th, you will be able to link Marketing Cloud to Google Analytics 360 Audience Activation. You will need to authenticate your Marketing Cloud account through Google’s product linking tool. Once the IDs are linked and a known subscriber clicks a link in a message sent from Marketing Cloud, Google recognizes the SubscriberID inside the link and ties it to the Google Analytics client ID. Google then captures the subscriber’s online activity. You can use this data to create an audience. You build Audiences in Google Analytics 360, and share the audience with a Marketing Cloud enterprise account as a preferred destination. To help users navigate the Help section for Salesforce Marketing Cloud, the table of contents has had a make-over. On the Salesforce home page, click View Documentation. From the Cloud list, select Marketing. Click the title of any tile to learn more about a subject. Comprehensive release notes on this release can be found here at the Salesforce Help page.